I have the front lower arms off my 07 RS4 for sale. Removed with 38k miles on them, to install new arms with track level bushings. These are in good shape, no tears or cracks in the ball joint boots or bushings. Asking $230 with shipping. PM me if any Qs. Last edited by frmarkmiller; 01-04-2016 at 10:37 AM. 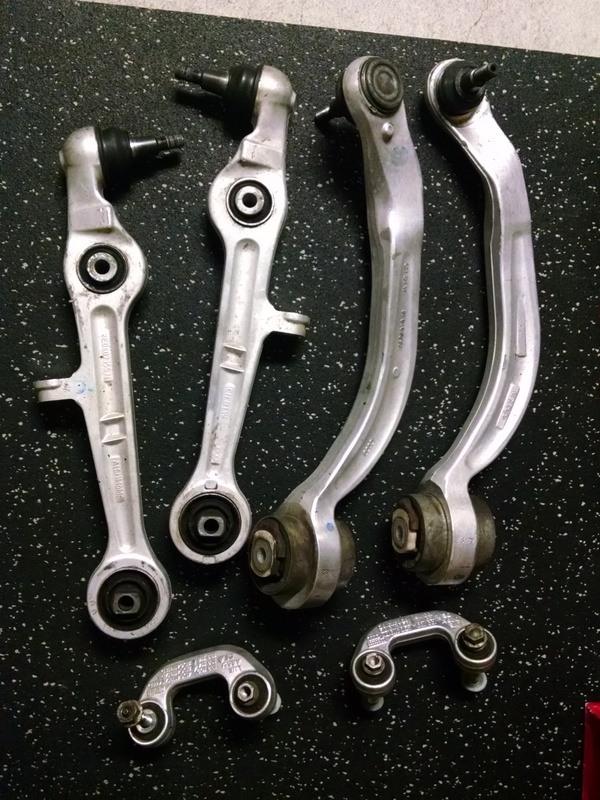 Front Lower control arms and tie rods?